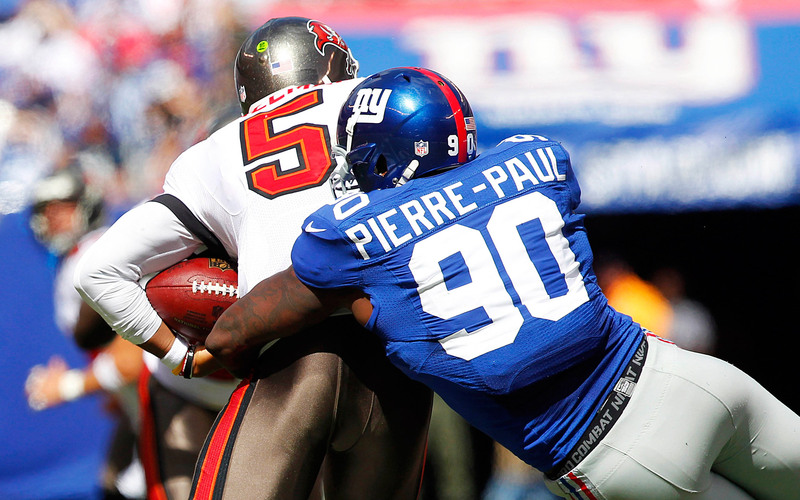 Giant’s defensive end Jason Pierre-Paul sustained a severe hand injury over the weekend due to a fireworks accident. Pierre-Paul reportedly had a U-Haul truck filled completely with fireworks to set off with some friends in celebration of Independence Day. While lighting one of the fireworks himself, something went terribly wrong, and Pierre-Paul burned himself. While there have been all kinds of reports as to the extent of the injury, it has become clear that there were indeed injuries to both hands. At first, there were reports that Pierre-Paul could lose an entire hand, and that this could be a career-threatening injury. After being hospitalized, these reports appear to be false. Details are still rolling in, but it seems as though Pierre-Paul (or JPP as he is sometimes referred to as) did indeed injure both hands, suffering severe burns on the palm of one hand and the tips of three fingers on the other. One finger is being tested for nerve damage. Other reports suggested at the very least JPP would need a few fingers amputated, but these reports also look to be an overreaction, as doctors believed there will be no permanent damage. Not only does this injury not seem to be career threatening, on July 5, ESPN’s Chris Mortensen tweeted that, “It may not be game or season threatening, either.” The Giant’s have some concern that the injuries could cause him to miss training camp and the beginning of the regular season, but everyone is still awaiting more medical answers. There is another twist to this story, as Jason Pierre-Paul has yet to sign the $14.8 million franchise tender, and therefore is technically not under contract. The Giants and JPP have until July 15 to work out a long-term contract, but the Giants have said publicly that they would be okay allowing JPP to play out the 2015 season under the one-year tender and then letting him hit free agency next year. In the days following the accident, Giants team officials went down to South Florida, where Pierre-Paul lives, looking to see him and diagnose the injuries to his hands themselves. However, with JPP not currently under contract, he doesn’t have to let them see him, and he has avoided them since the accident. The Giants have yet to see Pierre-Paul’s hands, and the public has yet to be made aware of the extent of the injury as of Tuesday. JPP may end up as a free agent, not playing a snap for the Giants this year. On Tuesday night, ESPN’s Adam Schefter tweeted out a medical report that revealed JPP indeed had his right index finger amputated. It has been reported that Pierre-Paul should be able to play, “sooner than you think.” JPP reportedly chose to have the finger amputated because it would allow him to come back sooner. JPP is certainly an important part of the Giants defense. Considered the team’s top pass rusher, the two-time Pro Bowler led the Giants in sacks, tackles for loss, and quarterback hits. The former first round-pick also recorded 76 tackles (third on the team), which was second only to J.J. Watt among defensive lineman in 2014. If Pierre-Paul were to miss any time, let alone extensive time, it will certainly hurt a Giants team that has high expectations. Odell Beckham Jr. emerged as a star last year, they will get Victor Cruz and Rashad Jennings back from injury, they’ve improved the offensive line, and Eli Manning is a 2-time Super Bowl MVP quarterback. Despite recent struggles, it isn’t inconceivable to think of the Giants as playoff contenders in 2015, but missing a top tier pass rusher like Jason Pierre-Paul could really put a damper on those playoff hopes. It certainly leads one to wonder about the six-week dead period the NFL has between OTAs and the start of training camp, and they will likely think about shortening the time period where the players go unsupervised, or perhaps, allowing more contact in order to supervise them during the six week offseason. Over the past fifteen seasons in New England, Patriots fans have gone into each season knowing that their team has a reliable pass-catching running back on the roster. Whether it was Kevin Faulk, Danny Woodhead, or Shane Vereen,Tom Brady has always had the luxury of having a solid running back that he can dump the ball off to. Heading into the 2015 season, Tom Brady and the Patriots do not have the same luxury with Shane Vereen signing with the New York Giants this past offseason. There is a multitude of running backs on the roster that seem to have the ability to take over the role, but they are all for the most part unproven. Two players that will be competing for the role are veteran free agent Travaris Cadet, and second-year back James White. Travaris Cadet has spent his first three seasons in the league with the New Orleans Saints, catching passes from Drew Brees. Cadet was basically irrelevant in his first two seasons, catching only seven passes, for 49 yards, and one touchdown. In year three Cadet took a miniature jump onto the NFL scene finishing with 38 receptions, for 296 yards, and one touchdown. Much like Shane Vereen, Travaris Cadet spends a lot of his time playing in the slot. At 6-1, 210 pounds Cadet is built like a running back-slot receiver hybrid. Also, with his size and physicality Cadet is able to pass protect for the quarterback, which is huge when playing for Josh McDaniels and Bill Belichick. Cadet just doesn’t seem to have that burst potential. His spot on the roster is fairly safe, barring injury, and his ability to digest the playbook will determine whether or not he will earn a starting job. James White was one of the more interesting players in training camp last season. Throughout July and August, White received first team reps and performed well during practice. However, when the bright lights came on he couldn’t deliver. White was mediocre at best in preseason games. He never flashed in the passing game like he was labeled, and in the run game there was not much physicality or burst. His lack of production in the summer lead to his limited game action during the regular season. Going into training camp this year, White needs to show that he can really be a playmaker like Shane Vereen was at times during his tenure. He needs to play in the slot and also pass block, two essentials for a running back in the Patriots offense as fans have learned over the past couple of seasons. In the end, James White will most likely come out on top in this training camp battle, given his familiarity with the Patriots system. Nevertheless, in time Travaris Cadet will become more acclimated to the offense and take over the position. In addition, a change will be necessary due to that fact that at 5-10, 194 pounds James White will easily get exposed pass blocking and will get knocked down easily when running the ball. Cadet is better equipped physically to take over the job. The only way James White remains a starter is if he really flashes and becomes an essential piece to the offense. It is tough to imagine that happening in 2015. Can the Kings of the AFC East be dethroned? Looking over the eight divisions in the NFL, the AFC East division has had a great deal of success over the past 15 years. 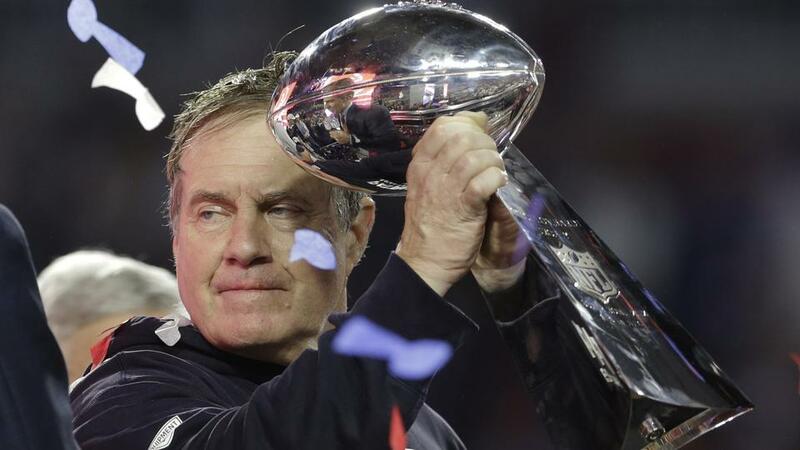 Don’t remind any Bills, Jets and Dolphins fans about this though, for all twelve division titles, six Conference Championships and four Super Bowls won over this time belong to just one team – the New England Patriots. Jets – Aside from the big (*cough* robbery *cough*) free agency signing of Darrelle Revis, the Jets also brought back Antonio Cromartie to the secondary to beef up an already tough and talented defense who will have Sheldon Richardson back by the time they face the Patriots in their Week 7 showdown. To complement the defense, the Jets improved their receiving corps by acquiring Brandon Marshall in free agency and drafting Devin Smith in this year’s draft. The bad news? The Jets may be in a better position to expose a weaker Patriots secondary by forcing them to put more cornerbacks on the field against a stronger set of wide receivers. The good news? The Jets don’t have Rex Ryan. Or a QB that can lead them to a division title. And while the Jets will have Sheldon Richardson back, the Patriots will have Tom Brady ready to go too, so I’ll be placing my bets on the Brady Bunch. Dolphins – Ndamukong Suh decided to bring his talents to South Beach and that is huge for a franchise whose fans have been left with a sour taste in their mouths from watching teams full of hope and promise disintegrate the past two seasons. Having Suh join Earl Mitchell in the interior while Cameron Wake and Olivier Vernon rush the edges will be the cause of many headaches for offensive coordinators in the division and across the league. The Dolphins also did a pretty good job of getting quarterback Ryan Tannehill (a massive contract and) some new weapons by signing Greg Jennings and drafting DeVante Parker with the 14th pick of the draft to join a balanced run game for the offense. But are these improvements enough to overcome the major holes this team has at guard, linebacker and at the cornerback position? Or will Dolphins fans face another tumultuous season that will end in more heartbreak for their fans? Too soon to tell. One thing that is certain – Bill Belichick’s bread and butter is taking away what every team does best and making them beat his team without their strengths. If the offensive line for the Dolphins struggle to create openings for their running backs and keep Ryan Tannehill upright, their secondary won’t be able to save them from the Patriots’ elusive passing attack. Bills – No other team in this division (or in the league for that matter) had quite the offseason the Bills had. No other team in this division will have the pleasure of potentially facing a Brady-less Patriots offense (*knocks on wood*) this season and that is quite the advantage to have on your side, especially with an elite defense led by Mario Williams, Marcell Dareus and Kyle Williams. These three ended the season with double-digit sacks on a team that racked up 54 sacks in 2014. It only gets better for this team because guess who’s at the helm for this Bills this year? Rex Ryan, defensive mastermind. But, said defensive mastermind is no offensive mastermind, and he’s going from one quarterback debacle with Geno Smith and the Jets to another with E.J. Manuel and the Bills. His other options at quarterback (Matt Cassel, Tyrod Taylor and Jeff Tuel) don’t seem to represent the long term answer to lead a good running combo in Fred Jackson and LeSean McCoy and a good wide receiving corps that includes Sammy Watkins, who is coming off a stellar rookie season. It’ll be quite the chess match when these two teams meet up in Week 2 and in primetime on Week 11. Rex will focus on disguising his defense with intricate blitzing schemes to faze the Patriots quarterback while Bill will squash the running game and force the Bills quarterback to beat the defense with his arm. There is no doubt that the Bills have the biggest chance to dethrone the Patriots for the AFC East throne, but their biggest hole is at the most important position on the team. With that said, I will give Bill Belichick and Co. the benefit of the doubt and another division title for the 2015-16 NFL season. Seattle Seahawks: Wilson’s Contract at a Stalemate? With the ball on the one-yard line, less than a minute remaining on the clock, and a four-point deficit, Russell Wilson dropped back to throw a Super Bowl-winning touchdown pass. Rookie cornerback Malcolm Butler intercepted the pass and the Patriots went on to win Super Bowl XLVIX. 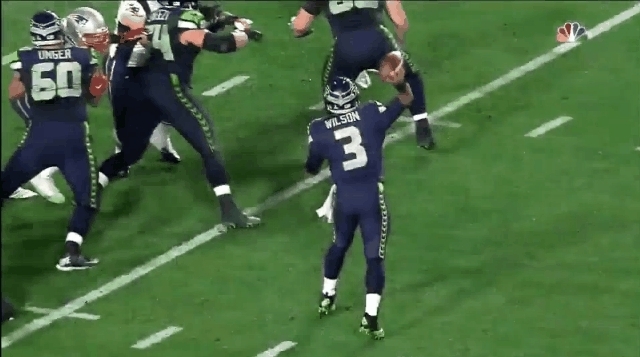 Russell Wilson was that one pass away from winning his second Super Bowl, in just his third year as a starter. Now, entering the final year of his rookie contract, both the Seahawks and Wilson want Russell to sign an extension. However, the two camps are on different sides on what the money should look like. It was reported recently that Wilson is looking to become the highest paid player in the NFL. Russell Wilson was a part of a recent wave of young talent into the NFL at the quarterback position, a group that includes Andrew Luck, Ryan Tannehill, Andy Dalton, Cam Newton, Robert Griffin III, and Colin Kaepernick. Tannehill, Dalton, Newton, and Kaepernick have recently signed lucrative extensions. Newton and Kaepernick’s contracts are each worth over $100 million (though Kaepernick’s is incentive laden), Dalton’s is worth $96 million, and Tannehill’s is worth $77 million. The four-year deal Wilson received as a rookie is worth under $3 million. Currently, Aaron Rodgers is the highest paid quarterback in the NFL, with an average yearly salary of $22 million. That’s the number Wilson and his agent are using to negotiate. The Seahawks have gotten off easy with Wilson the past three years. They essentially had a free quarterback, able to funnel a lot more money into their defense and easily stay within the salary cap requirements. Pete Carroll’s NFL head coaching resume before Russell Wilson was: fired, fired, 7-9, 7-9. Then in his third year with Seattle, he names rookie Russell Wilson his starting quarterback. All of a sudden he wins a playoff game, wins the Super Bowl the next year and comes one play away from repeating last year. Is Russell Wilson the best player in the National Football League? No. Is he the best quarterback in the National Football League? No. But right now, that’s irrelevant. In today’s NFL, finding an elite quarterback that can win a Super Bowl is becoming harder and harder. Wilson, Tom Brady, Joe Flacco, Eli Manning, Peyton Manning, Aaron Rodgers, Drew Brees, and Ben Roethlisberger have won 13 of the last 14 Super Bowls. It’s possible to win games with average quarterback play, but it is impossible to win a Super Bowl without an elite quarterback in today’s NFL. It’s not that quarterbacks have gotten worse, they’ve actually gotten much better, but the responsibility of playing quarterback has gotten much more difficult. With the introduction of the no-huddle offense, quarterbacks not only have more responsibility at the line of scrimmage, they also have an extra 20-30 plays a game with the ball in their hands. The debate over Russell Wilson’s contract isn’t a debate over how he ranks in comparison to other quarterbacks in the league; it’s a debate over how valuable he is to the Seahawks. There’s a reason average quarterbacks like Andy Dalton and Ryan Tannehill just got big contracts. Even at the level they’re at ability-wise, they’re extremely hard to replace. When all these things are considered, the Seahawks have no choice but to pay him. This contract doesn’t have to get done immediately. Wilson is still under contract for the upcoming year, and he has no intention of holding out. Next year, if Wilson remains unsigned, the Seahawks will have the ability to franchise him, and Wilson has said he would be willing to play under the franchise tag. This would either mean him playing for one year, or the two sides hashing out a long-term deal. Either way, it doesn’t seem likely that Wilson will hit the open market. The only plausible questions that remain are when he signs, how long he signs for, and how much he signs for.